Sungwon Lee is co-founding member and programmer at Ultra, a Seoul-based tech company offering insights to the industry. He is a graduate of Seoul National University. Web comics, referred to as webtoons, are enormously popular in Korea. As Chang Kim of 500 Startups explains, more than 10 million Koreans read webtoons every day – that’s one-third of the nation’s daily Internet users consuming a rather specific form of media. In Korea, webtoons are even more popular than Facebook with Naver Webtoons, the country’s most popular webtoon portal which drives 1 billion page views per month. Webtoons are delivered via online and mobile portals. For example, Naver, the equivalent of Google in Korea, maintains both mobile and online versions of its aforementioned portal. Users can discover, read, share, or subscribe to webtoons as they would on any other content platform such as YouTube or Tumblr. 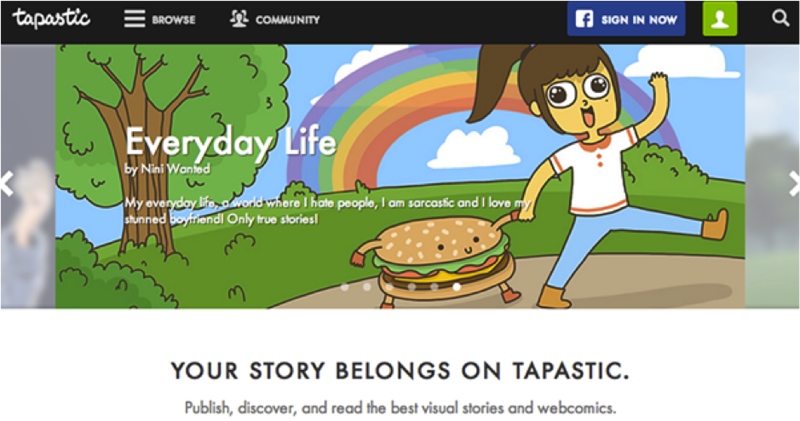 How do webtoons make money and why would investing in the medium be a worthwhile venture? Let’s first take a look at the platform providers. The two most popular webtoon platforms are serviced by Naver and Daum – both of which are Korean search engines. Initially, these platforms monetized their content via display and text advertising. With the addition of webtoons, this medium would drive traffic to Naver and Daum, both of whom indirectly monetized from display or ads featured at the bottom of each webtoon episode. 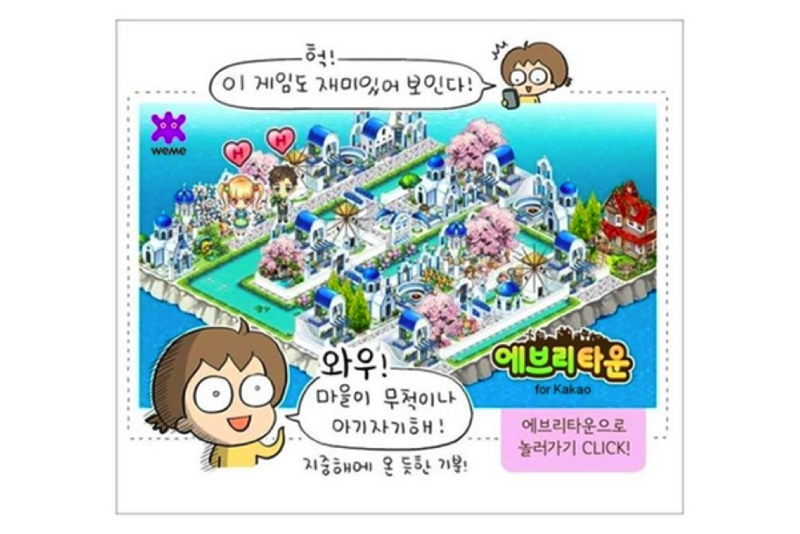 More recently, Naver has been experimenting with a new form of advertising known as “Page Profit Share.” PPS is a type of visual ad that uses a webtoon’s art and characters to promote a product. These co-branded ads are featured alongside or at the end of a webtoon episode. In this example, the main character from “The Daily Life of Nam” has been incorporated in a display ad for a new mobile game. In the case of Page Profit Share ads, the content creator receives 70 percent of ad sales with the remainder going to the platform provider. PPS ads will likely stand out more for readers and result in higher click-through-rates, which means greater revenue for Naver and the author. Next, we’ll look at content creators. Most webtoon authors indirectly monetize off of advertising. The profit share varies according to platform and ad type, but essentially income is generated similarly to how bloggers or video makers earn money. At the very least, one Korean startup is looking to disrupt this platform approach to generating income for webtoon authors. Lezhin Comics takes a content approach to driving revenue. 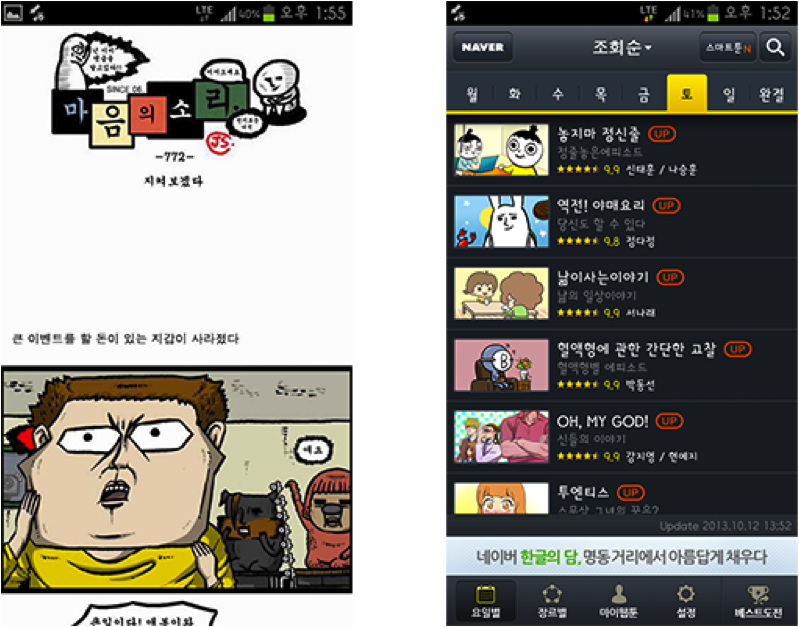 Popular webtoons are often packaged in a series of episodes, like TV shows. Lezhin Comics allows readers to view current and past episodes for free, but if a reader wants access to future episodes they must either wait a week until the next episode “airs” or pay to gain immediate access. Webtoon authors decide how much advanced access to each episode costs, and a percentage of each sale is split with Lezhin. This is an interesting approach to monetization that relies on the strength of the content and discipline of the reader. Just imagine this scenario in television: It’s the sixth and final season of “Lost.” You’ve watched two-thirds of the season for free and have now approached a paywall to view the final six episodes. Each new episode costs $2. Since you’re hooked, chances of paying $2 to find out what happens now seems like a reasonable cost. But considering that you’re a week ahead, waiting two weeks to view the next episode may feel like eternity. And of course, once you pay the first $2, it seems silly to not pay off the final five episodes. In a sense, this cycle continues. Webtoon authors have also been able to monetize off of their brand and characters. In some cases, this comes in the form of licensing. A more direct approach comes via the creation of emoticon packages to be sold on KakaoTalk or Line, two of the most popular Asian messaging apps. Lastly, licensors can help drive webtoons revenue. As with any other written or visual work, popular webtoons are being adapted into other forms of entertainment and merchandise via licensing deals. 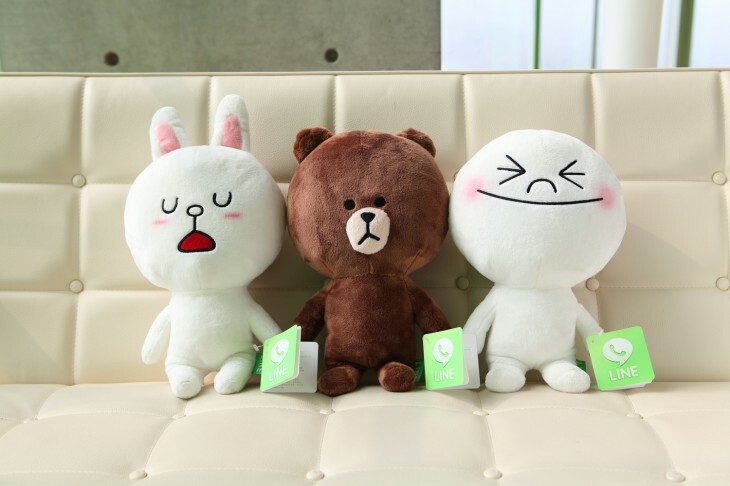 The character industry is booming for Korean webtoons, with 70 percent of the titles hosted on Naver Webtoons reportedly owning some form of character licensing deal via merchandises like plush dolls, stationary, or cell phone cases. Movies are another big hit in this category. 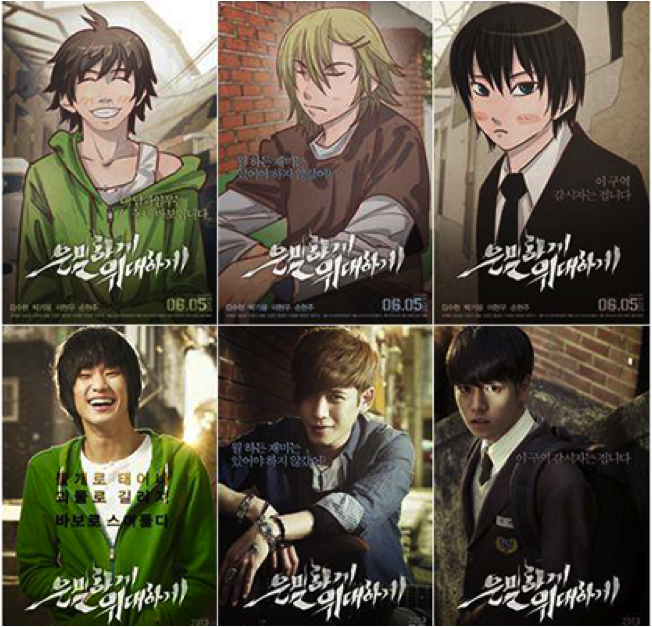 According to the Korea Times, 14.7 percent of Korean films released in the first half of 2013 were based on webtoons. The webtoon movie “Secretly, Greatly” earned $48 million at the box office with 7 million in audience. Keep in mind that these are domestic films for Korea’s 50 million population. That would be similar to a webtoon-inspired movie in the U.S. earning $300 million with a domestic audience of 44 million. When put into perspective, the opportunity webtoon movies pose for authors and licensers is huge. Webtoons are a “digital-first” form of content produced for tech-aware audiences. And while it may not be hard to open up a Web browser and get to Naver, one can assume the casual webtoon reader is active on the Internet and most likely owns a smartphone, especially in Korea where the is an exceptionally high smartphone penetration rate. We at Ultra believe mobile apps and video games are another field for webtoons to expand into via licensing deals. 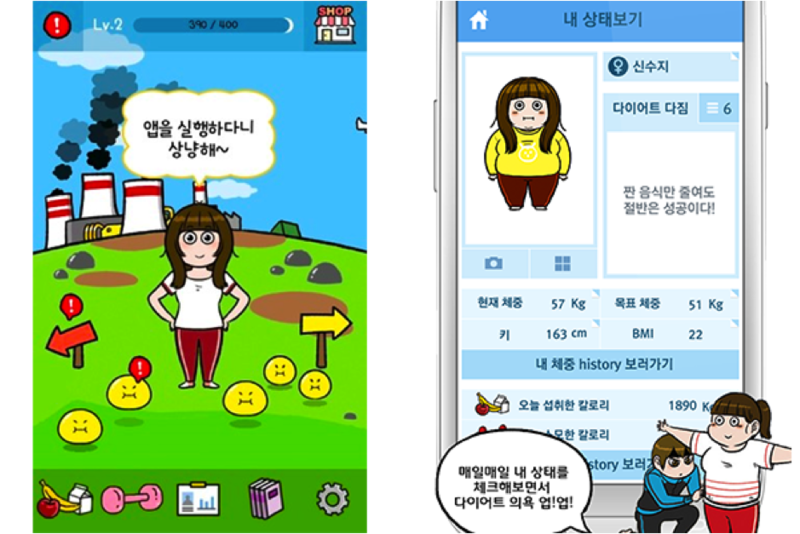 We followed up on this hypothesis by licensing a popular Korean dieting webtoon for our mobile app, Dieter. Dieter gamifies the way people set, track, and accomplish their fitness and diet goals. We incorporated existing characters and themes from the webtoon into the look and feel of our app. Did it work? So far, absolutely. We soft launched two weeks ago in mid-October and are already in the 10K-50K download range with zero advertising. The rise in popularity of Korean webtoons didn’t just happen. Instead, it was the result of conscious efforts by Naver to build a content platform that would drive page views and in turn boost revenue. Naver makes most of its money the way Google does – through advertising. Like Google, Naver maintains a number of properties, such as a search engine and email service, to generate page views. The one thing Naver has that Google does is its webtoons channel. In this way, Naver’s development of the webtoon platform is similar to Google’s development of the blog. Google’s acquisition of Blogger back in 2003 helped introduce the blogging medium and publishing platform to millions of people for free. The last unofficial count put the number of Google blogs at 38 million in 2006. Today, this number and the blogging medium itself has continued to soar, bringing Google a lucrative source of traffic to run past AdWords and its Display Network. Could webtoons be a hit for Western audiences? 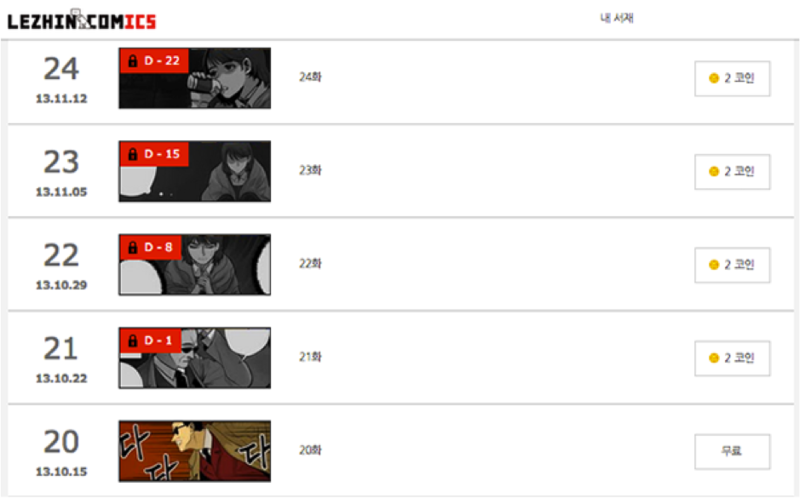 Webtoons clearly work for Korea, having been accepted as yet another form of media in Korea. But will this unique platform take off with Western audiences? Our speculation is that it’s inevitable. The U.S. market already loves gamified products, and as new and existing comics transition to digital, the conditions will be prime for webtoons to take off stateside. Yet, there needs to be a catalyst. There needs to be a platform to house Web comics in an easy to publish and easy to access format. Once a platform provider takes on this role, the next steps will include recruiting high quality authors and driving traffic home. Aside from having a new medium strategy, webtoons will also give authors residing in the U.S. the opportunity to truly be discovered via the platform – just as YouTube has spurred many artists and musicians. After all, everyone seems to love cartoons. You still can’t make it through an American grocery store or Halloween season without an Angry Bird snack or costume standing in your purview.